While looking for a place to eat at Quezon Memorial Circle last March, we spotted a restaurant that piqued our interest. It’s called Coconut House, a quaint dining place where all the dishes, desserts and beverages served have coconut as one of its main ingredients. Coconut House is proud of its healthy food offerings; they use coconut oil, coconut butter and coconut meat in their food preparation. We ordered three Binalot meals, namely: Kalderetang Dagat, Gatadobo and Crispy Express, plus Coco Okoy and Kapayapaan Float. All of the Binalot meals were served with brown organic rice and veggies. 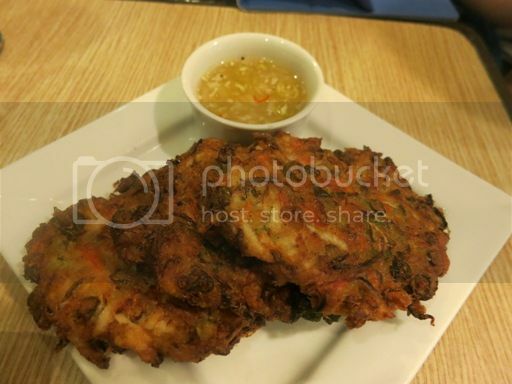 These veggie patties called Coco Okoy are great appetizers. They’re made of coconut, carrots, green beans and sprouts served with spiced coconut vinegar. They can be quite filling, too, so you should not eat a lot of these if you’re still ordering other food items on the menu. Hubby’s order was Kaderetang Dagat. This is tuna and vegetable stew in coco-tomato cream. As far as I know, we haven’t eaten anything with coco-tomato cream before, so this is new as far as our palates our concerned. It’s either we have dishes cooked in coconut cream or tomato sauce but not both. The tuna chunks were tender and tasty, but hubby still prefers his kaldereta in tomato-based sauce. I shared this Gatadobo with my son. 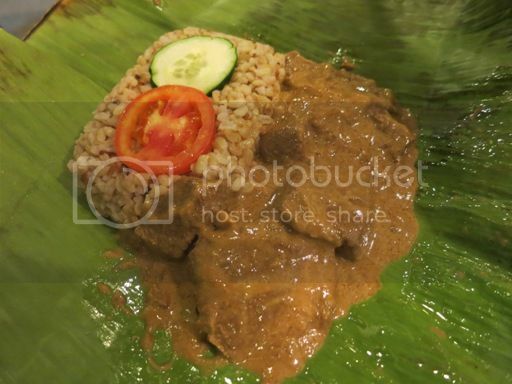 This is organic chicken and pork adobo cooked in coconut cream. The sauce was thick and creamy, and the pork and chicken meat were tender. It was an okay meal but not extraordinary. 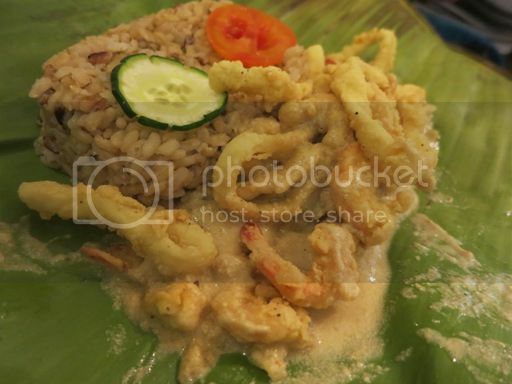 This Crispy Express is Bicol Express with fried shrimps and squid. We ordered this for our helper. She said the spiciness was just right, the squid was not hard to chew which means it wasn’t overcooked, and the shrimp was delicious, too. 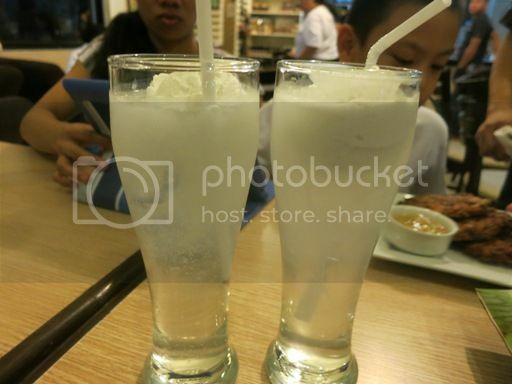 Kapayapaan Float is fresh coconut juice topped with coconut ice cream. I thought our little boy would like this because it has ice cream, but he didn’t; he’s just not used to the taste of coconut juice yet. But I enjoyed this; it was cool and refreshing! Next time, we’d like to try their desserts. I’m particularly eyeing their Ube Macapuno Turon and their Buko Sherbet Special. This entry was posted in Coconut House, Filipino Cuisine, Food Friday, Food Trip Friday, Oriental Cuisine, Quezon Memorial Circle. Bookmark the permalink. i’ve tasted native chicken cooked in buko juice and with coconut meat in quezon province–it was yummy. 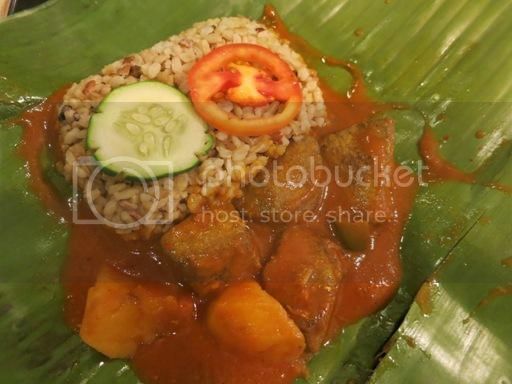 the kaldereta looks yummy! binalot! hubby and I are going to love this place..though he isn’t particularly fond of gata (quite unlike me, lol). the coconut-tomato cream sounds interesting! I would love to try their food. The Gatadobo looks yummy and the buko juice looks refreshing. I think I will love that Coconut House! I missed this when we were there. Will look for it next time.